This 1954 home was redesigned for its 21st-century family. An open-concept floor plan with modern amenities guided this first-floor remodel. It includes an expanded kitchen featuring a cook top peninsula and bar seating. French doors open to a newly expanded outdoor living space and Trex deck. 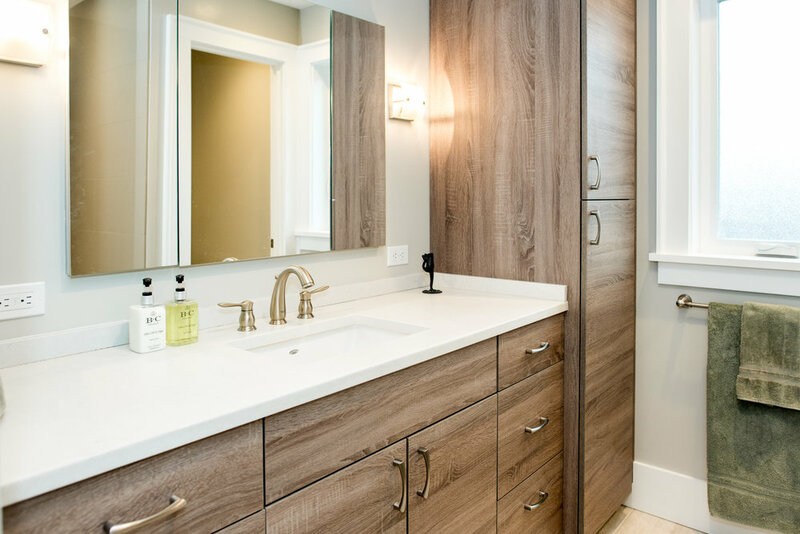 The main bathroom was transformed to include storage space and modernized amenities to appease each family member. We loved working with this local Shoreline family and are so glad that they’re happy with the results! Irons Brothers Construction, Inc. is a national leader in the construction industry and has been a trusted remodeling contractor in the North Seattle area since 1999. We have the resources, knowledge, and experience to assist you through all phases of your remodel, from planning to completion. We are committed to our projects and our clients; this is the root of our success. This is done by providing our clients with efficiency and safety at the worksite, along with effective communication and follow-through. We look forward to working with you on the design and build phases of your project. Inspiring creative and custom designs with an exceptional building experience. Our client’s vision was an urban farmhouse aesthetic, but it carried challenges. The master bedroom/bathroom, mud room, laundry, and second bedroom all needed to coexist for a busy family. Relocating the master suite downstairs and the kids’ room upstairs did the trick and exposed the character of this beautiful home. Since our beginnings in 1973 as a small construction company, the Gaspar’s family has taken great pride in making a difference in people’s lives, one remodeling project at a time. The original floor plan of this one-story U-District craftsman home was short on space and simply didn't fit our clients' lifestyle. The master bedroom was in the low-ceilinged basement, and the tiny dining room was disconnected from the kitchen. A new two-story bump-out addition provided the space for an expansive kitchen and dining room combination. The new second-floor private master suite with wet-room shower and separate sitting area is a lofty retreat bathed in natural light. Best of all, the new addition maintains the home's cozy craftsman charm, incorporating original cedar siding and trim details. Denny Conner has been helping greater Seattle homeowners transform their homes through remodeling since 1980. Realizing there was often a gap between the designs clients brought him and what they could afford, he began pioneering the design-build service in the early 1990s. He founded his company with the goal of establishing a home remodeling and construction business that treats its customers with dignity and respect. Conner Remodeling and Design, now CRD Design Build, improved the home remodeling process from start to finish. Through a personalized approach to design for home remodeling, CRD is able to produce outstanding results that fulfill clients' dreams and respects their budget. To meet the needs of a growing family, Uniplex remodeled the second floor of this three-story Sammamish home. 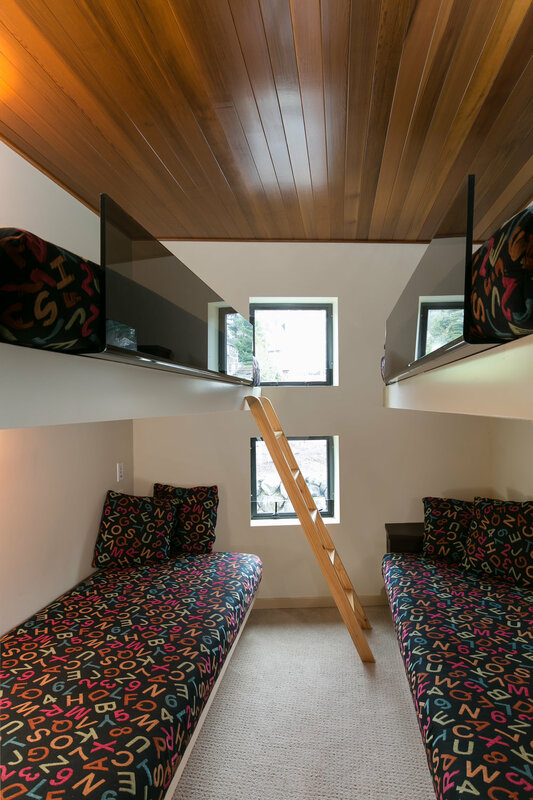 They created two bedrooms, a three-quarter kids bath, a remodeled mother-in-law bath, noise isolation, and a private media/playroom that preserved an existing bunk room, all blended seamlessly with the home’s original motif. Uniplex Construction is a general contractor providing concierge service in commercial, residential, and restoration construction. Uniplex is a relationship-based company who prides themselves on their team-oriented approach to projects of all shapes and sizes. Leveraging their diverse and highly experienced team, Uniplex’s Senior Project Managers alone have over 150 years of construction experience. This, combined with a seasoned team of Project Managers, Project Engineers, administrative staff, Superintendents, and superior production crews make Uniplex one of the most well-rounded and talented companies in the greater Seattle area. This charming home features a kitchen and bathroom remodel. 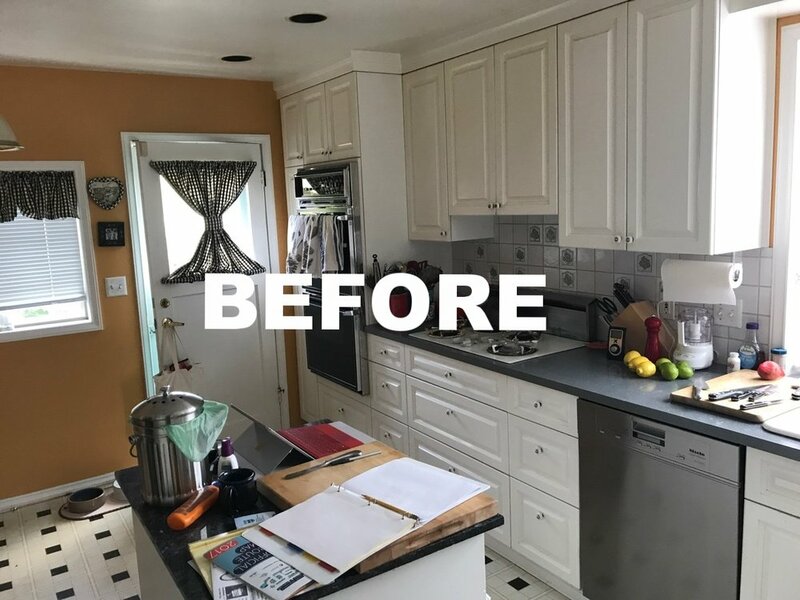 Extensive work was done to expand the kitchen and bathroom by removing walls, bumping out the back of the home, and reconfiguring the hallway and closet to allow for a larger and better laid-out kitchen and bathroom for this growing family. The local remodeler you can trust. Potter Construction is an award-winning, full-service remodeling company serving the greater Seattle area since 1979. We specialize in design, permits, and construction for remodeling existing homes including kitchens, bathrooms, and basements. Our experienced design/build professionals will guide you through a construction process that is as stress free as possible, while delivering your remodel on time. The original kitchen of this 13-year-old home was 50 shades of stained wood. While the layout was open, it was dark and dreary. The homeowner wanted a bright kitchen with enough light for Northwest winters. We created a timeless, formal kitchen by changing the layout while maintaining the home’s footprint. Our homeowners wanted to add a bit of European style to their brand-new powder room and renovated kitchen, based on their love of travel and bike touring. They were especially excited to move the awkwardly-placed toilet out of the dining room. Visit us and see how it all came together! Pathway is your full service remodeling company. Our shared focus is on the creation of highly livable and functional spaces through smart, often universal design, plus best use of eco-friendly, healthy, and energy efficient products and practices. A Pathway remodel is built to last. Through thoughtful building practices and the use of highly durable products, we help ensure our clients enjoy their remodel for years to come. We specialize in flexible design approaches, such as Better Living Design, Universal Design, and Aging in Place that focus on solutions that accommodate a homeowner's changing needs through all stages of their lives. Once a dated rambler has now become a client's dream home. The client wanted their living space to be more connected to the backyard and allow for more comfortable entertaining. By removing walls, vaulting the kitchen ceiling, and adding doors and windows this multi-function space was created. Stretching into all three bedrooms with new flooring, trim, doors, and paint this home has been transformed. The use of warm colors, and mixing of transitional styling with some traditional details makes this home a client dream come true. We are an award-winning design-build firm specializing in whole-house interiors, kitchens, and bathroom remodeling. We predominately serve communities from Woodinville to Sammamish along the 405 corridor. We approach each and every project as an opportunity to create significant and long-lasting change, so that you can go well beyond enjoying your home to completely loving the experience of living in it! 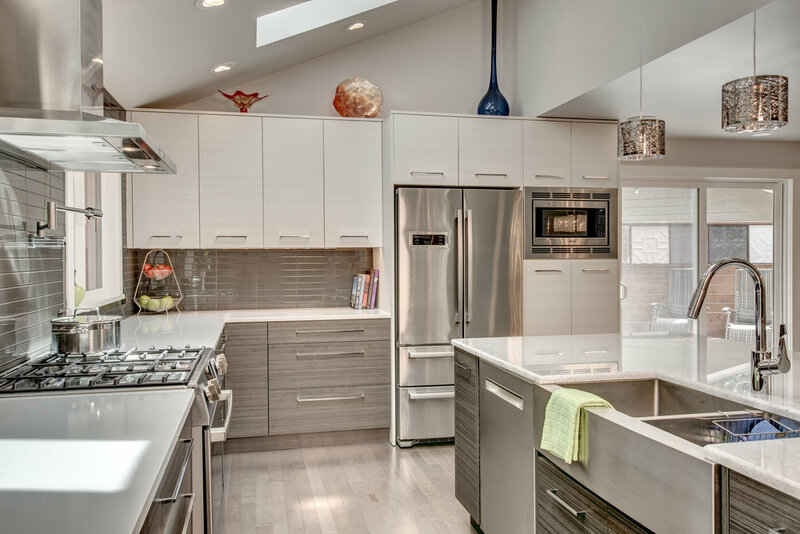 This rambler needed a major update, so we added skylights and significantly enlarged the kitchen to be a true entertaining space. Relocated windows and a vaulted kitchen ceiling now match the rest of the living room. The loft stairs were relocated to the entry to complete the home’s open feel. The owners of this 1980's split level home dreamed of an open plan kitchen, dining, and living room instead of the original closed-off rooms. Removing the wall between the kitchen and living room created significantly more usable space, while raising the ceiling dramatically increased the spacious feel in the rooms. One challenge we faced was balancing the open floor plan with the need to design around the load bearing section in the center of the space. We achieved this by keeping the dual fireplace wall, creating a sense of separation without enclosing either room. Over-sized glazed Italian porcelain wall tiles maintained the character feature in a modern way. The natural finishes in this updated kitchen echo both cozy country and sleek city living. 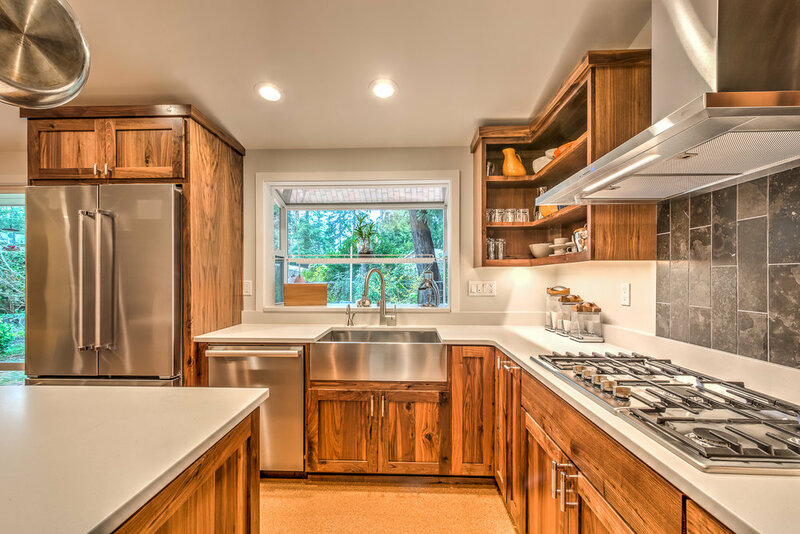 Lightly varnished, custom walnut cabinetry emphasize the natural lines and color of the wood, while sleek, textured stainless steel hardware seamlessly tie the cabinets together with the stainless-steel appliances. Quartz countertops in Fresh Concrete are both durable and modern, without stealing the limelight from the cabinetry. A dark limestone tile backsplash behind the stovetop pairs nicely with the natural colors of the counters and wood cabinetry without overwhelming. Finally, to optimize the flow and space of the room, we designed and built a custom island with an eating bar, plenty of space for food preparation, seating, and storage—including open shelves to display accent pieces or cookbooks. The custom walnut cabinets steal the show in this kitchen, providing rich color and texture throughout the room while also tying together with the matching custom dining room hutch. 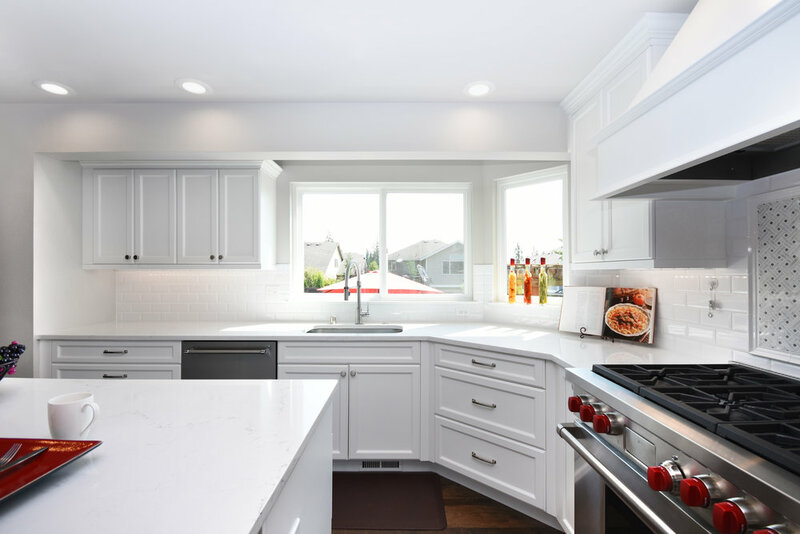 Ron & Jennifer VanderBeken are proud to own and operate VanderBeken Remodel, a Snohomish County award-winning residential remodeler, specializing in bringing re-imagined kitchens and bathrooms, as well as home additions, to reality. VanderBeken Remodel is fortunate to be a team comprised of skilled, knowledgeable, and dedicated employees and specialty contractors who work together to offer clients excellent customer service, distinct individual design, quality construction, and value. 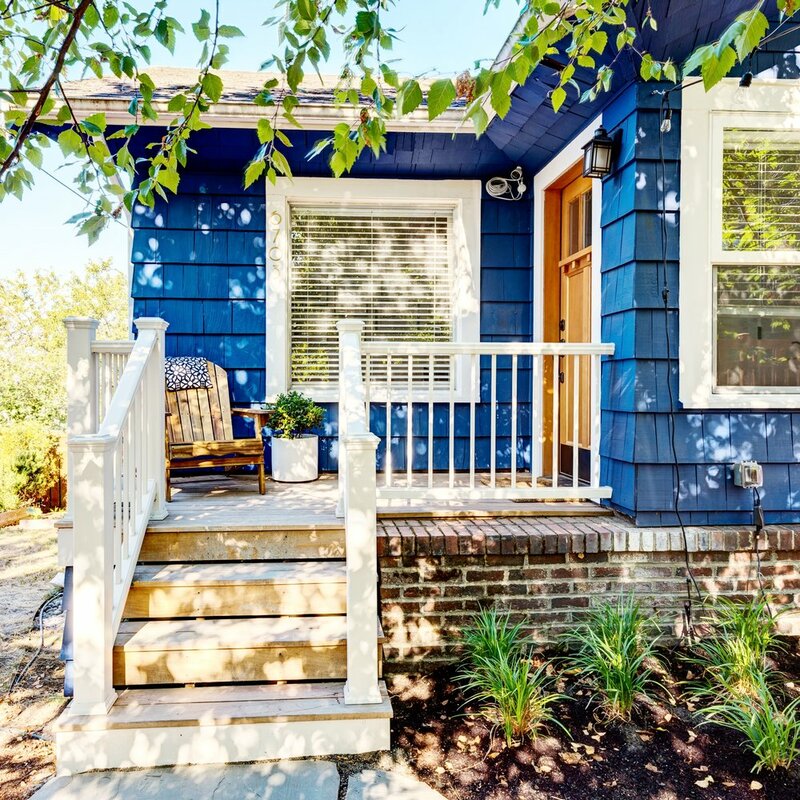 This charming 1916 Craftsman was reconfigured to increase the footprint via a redesigned kitchen and new, open living room. To create an open concept the fireplace and chimney were removed from the living room and the stairs to the basement were rerouted around the kitchen. A partial pony wall between the staircase and dining further opened the space. 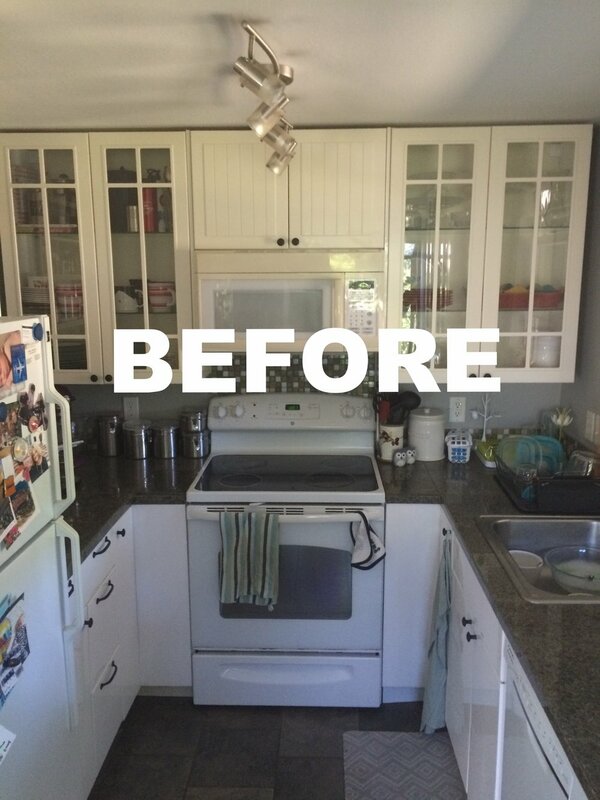 The kitchen was expanded from an L-shape to a U-shape giving the family twice the number of cabinets, with a pantry for extra storage, and built-in bench seating for eat-in kitchen dining. To gain additional interior space the original front porch and a side entry were enclosed to create a foyer with a closet, and a functional mud room with built-ins and cubbies. To tie the rooms together new hardware floors were installed throughout the main floor. Kurt Harjo knows that the building and remodeling processes are full of challenges and can be stressful for clients. He also believes much of that stress can be minimized and possibly eliminated if more emphasis and value are placed on clear and consistent client communications. The smallest of projects has a lot of moving parts, so even with the best pre-construction planning in the universe, “stuff” happens. How that stuff gets handled is where Harjo Construction Services proves their integrity in craftsmanship and communication, with consistent, honest feedback and engagement on every client project. This home features Sockeye Homes Fixed-Price Remodeling Package including the $50,000 is What You Pay™ kitchen package and $40,000 master bathroom package. Additional work includes hardwood flooring and refinished hardwood floors, new carpet, a replacement of all interior doors, millwork, stair railing systems, as well as all new interior paint. Sockeye Homes is a remodeler/builder providing AWARD winning quality at a LOWER PRICE®. Tod Sakai, President of Sockeye Homes, founded the company and team on this very mission. Sockeye Homes is the Most Awarded Company by the Building Industry Association of Washington, and the only company to offer a fixed price and fixed time frame package program for both kitchen and bathroom remodeling. With multiple styles and fixed price points to choose from, Sockeye Homes makes the remodeling process simple, fun, fast, and affordable. In addition to its package offerings, Sockeye Homes offers a full custom construction side to its business for custom homes, additions, and remodels. Our home owners love the rugged beauty of “timber framing” and wanted an outdoor living area that would reflect that architectural style. The completed two-story structure enhances their view of the forest behind their home and a spiral staircase connects the upstairs master bedroom to the deck. Chermak Construction is a local, full-service residential remodeling company specializing in large and small home remodeling projects, design services, and home repair services. We’ve been serving the community since 1980 with a professional, yet personal approach that creates a positive environment for successful projects. This elegant waterfront home is built to amaze. From the walls of windows and decks that make you feel like you’re practically on the beach to the custom finishes and modern technologies that every homeowner dreams about, this house has it all! Since its inception in 2002, Carlisle Classic Homes has built a reputation for quality outcomes. We’ve completed more than 200 projects, many large, some small, but all significant. We believe that taking on a project means starting a relationship that will last well past the completion date. In 2011, Remodeling Magazine selected Carlisle Classic Homes as one of the Top 50 remodeling firms in the entire US—not just in the Seattle area, but the whole USA. Why? In addition to our superior craftsmanship, we’ve been successful at eliminating the majority of headaches associated with remodeling and turning an uncertain process into one with great predictability. This “Steam Punk” inspired kitchen expansion features hickory floors, vaulted ceilings, and exposed beams. Oil-rubbed bronze fixtures accent two-tone quartz countertops with custom cabinetry painted in place for a built-in furniture look. See our dramatic before-and-after detailing of the process with photos, schedules, and logistical planning of the owner-occupied space. We offer a unique approach to design/build remodeling that focuses on the process required to develop a script. Performance is enhanced by ensuring the entire cast and crew are selected before work begins. Our mission is to turn apprehension into advocacy through performance. Practical elegance best describes the extensive remodel of this Edmonds home overlooking Puget Sound and the Olympic mountains. 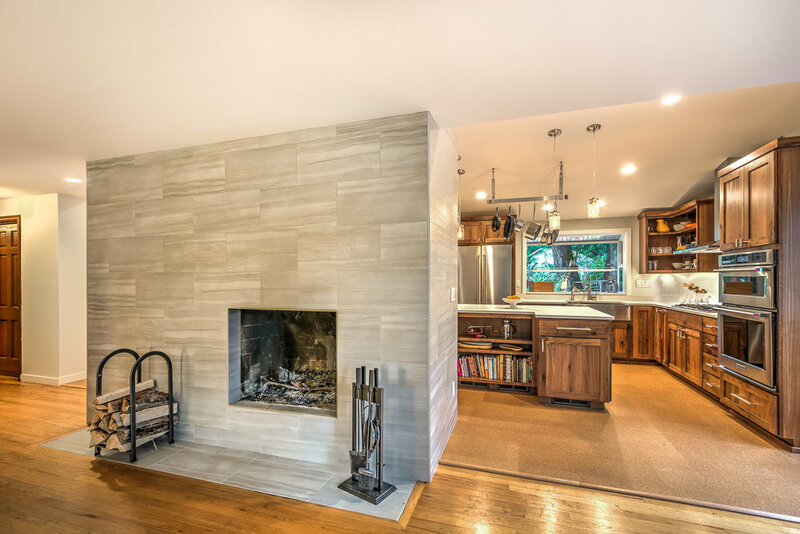 This mid-century Edmonds home was a perfect candidate for a kitchen renovation featuring a bright, open floor plan and a fresh take on traditional finishes. A kitchen is the heart of the home and this kitchen beats strong. 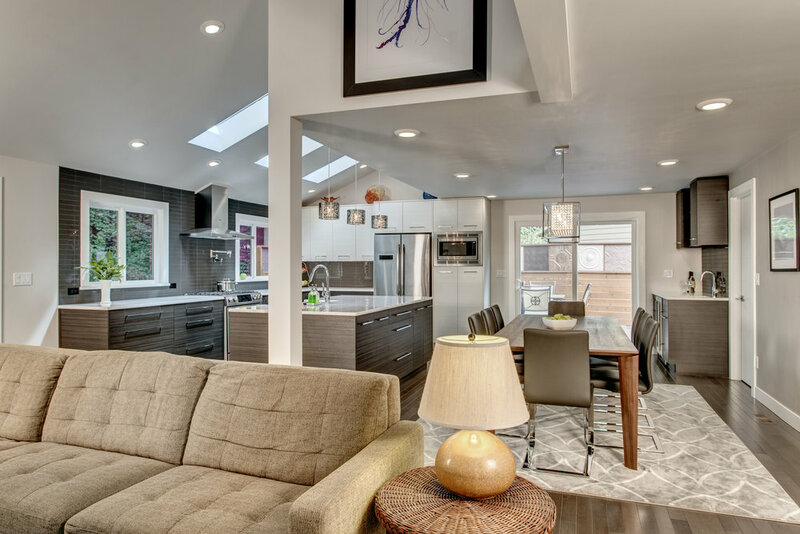 The mix of finishes in this remodeled kitchen showcase the personality of the homeowners in this Edmonds home. 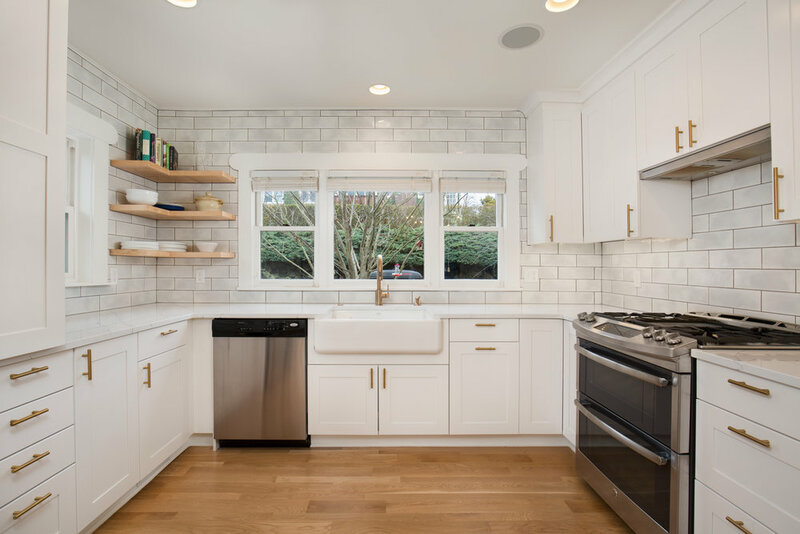 This 90-year-old classic craftsman in Seattle endured three iterations of kitchens before RCH partnered with the current, long-time owners on a design that conveys and matches older eras. Expanded bedrooms, an enlarged kitchen, and a revamped front room opened up both the view and appeal of this almost-brand-new Tudor home.